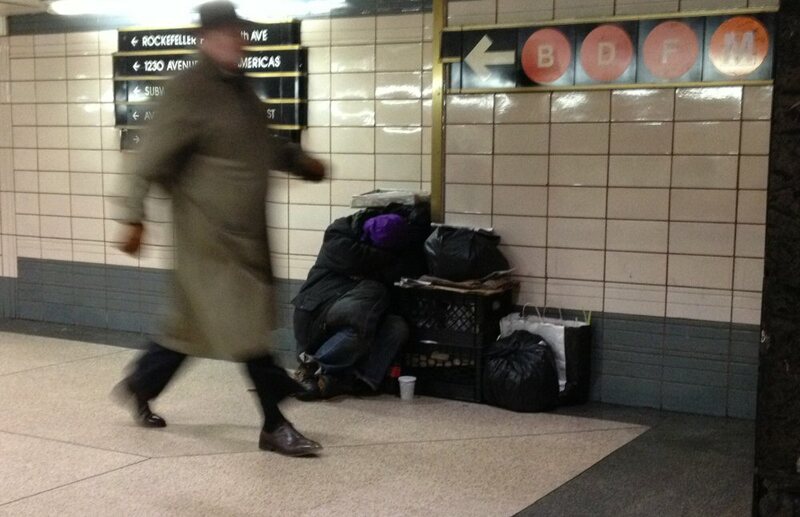 We’ve all seen homeless people in the New York City subway system. They stake out some turf and occupy it with all of their possessions. Or, they’ll occupy a subway car, riding it as far as they can before getting hassled or chivvied onward. Their fug clouds the air. Who are these people? Mentally ill? Down on their luck? Alcoholics? Drug users? Poor? Or just plain unlucky? Some are sick and not getting healthcare; their bare ankles have open sores and teeth rot in their mouths. How can they be eating right or taking care of personal hygiene? Mr. Purple Hat rests his head on his arm. I can’t tell if he’s feigning sleep or truly in a daze. He owns this location, sits in this same position at various times of the day, on various days. He parks himself and his belongings close to the collector’s booth and not far from busy turnstiles. Much foot traffic passes him. People sometimes glance over at him but I’ve never seen anyone talking to him. I’ve never seen him stir although sometimes just his black plastic crates are there as if he’s left to do some shopping and will return “home” shortly. People live in the subway system. Does that make the subway their home? So they’re not really homeless then? The subway tunnels are covered at least, out of the wind, protected from rain. With the onset of icy winter weather and single-digit temperatures, the Subway Hilton will be full tonight. Men stretch out on the wooden benches scattered on the platforms. They appear to sleep even as the train clatters down the rails, shaking the ceiling at greater than 90 decibels. That’s the sleep of innocents, of babes, and others who are oblivious to their surroundings. Never have I seen Mr. Purple Hat look at a passerby or show any curiosity. I think he’s biding time, hanging on to the little he can control by his fingernails. We walk by. A young man veers toward him then swerves. Two women turn their heads around to look at him while piloting forward. Most just stride by on their way to work, appointments, lunch, or to catch a train. Mr. Purple Hat is background, a breathing NYC wallpaper fixture. We presume they are hopped up on dope or drunk. We wonder (with righteous sniffs) why they aren’t being rousted by the police. We pause to think of the agencies or organizations that could possibly help them… assuming they let themselves be helped. I doubt any mother ever suckled her baby thinking he would end up at the Subway Hilton. I doubt we ever thought ourselves capable of ignoring another human’s plight. But there are so many of them, these poor disaffected souls! We look at them and see the surface. Surely G-d sees their souls and rejoices in them. 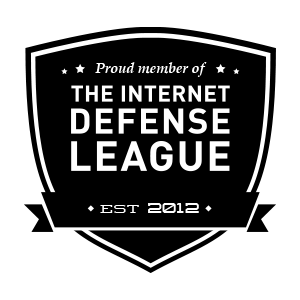 I chip at the armor covering my eyes and heart and yearn to see their G-dly sparks, too.